Film, photography & interests of a Leeds College of Art student. We are going to Mechelen which is a dutch speaking city in the province of Antwerp which is in Flanders. 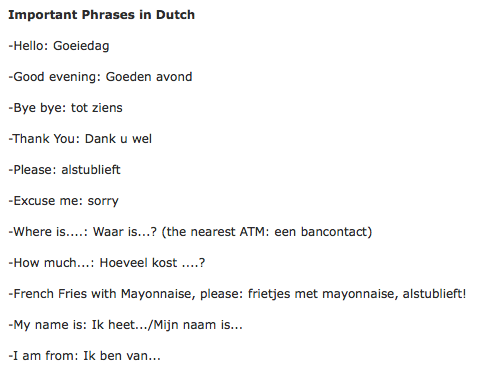 This was what I was hoping for as I have never spoken any Dutch before but have learnt both French and German at school. On the same Trip Advisor page were a few important phrases and words, on first look these were quite similar to German which I studied at GCSE and was quite good at so I looked forward to remembering some of the language. 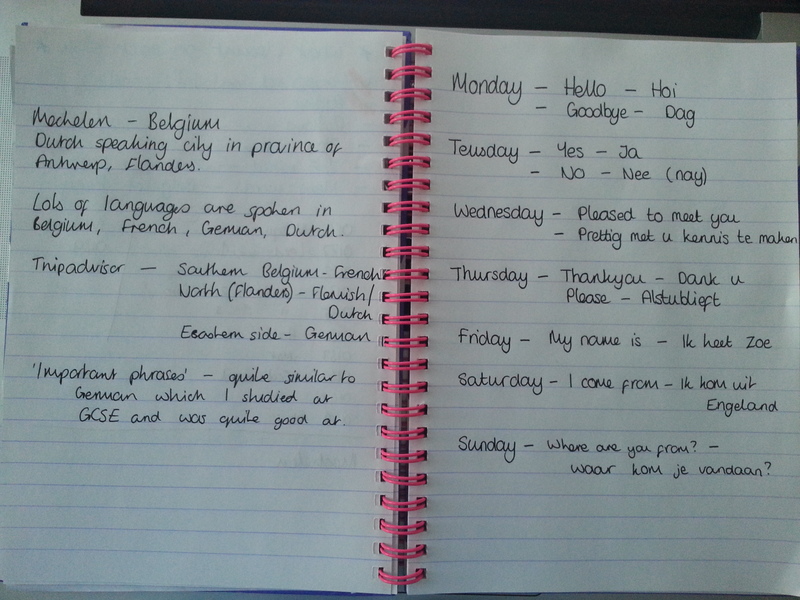 Using a few different sites I learnt new words/phrases everyday for a week and really enjoyed it and think I picked it up quite well. I learnt things that I think will be useful for meeting new people in Belgium and learning about the other students over there. The test will be when we go out there and I’m really looking forward to it!